Neighbors are going to love this. I made this today from stuff I had laying around. Bells were from Walmart and the spoons are dollar store specials. I bent 2 90 degree angel brackets to create the holes for the bar and bolted them to the spoons. I'm going to have to send the wife to a movie or something to try this one out. Cool. Where are the whistles? I will have to check and see if the dollar store has plastic whistles I can put on the golf tees. Nice! Have fun with your new creation!! What are those Walmart bells exactly? Are they something that will go ding and stand up to being shot directly? They are metal handbells with plastic handles for taking to hockey games. 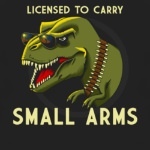 I have shot them with sub 500 guns directly but I'm not sure they would hold up to much abuse. They were only 7 bucks each and I couldn't resist. Lol. 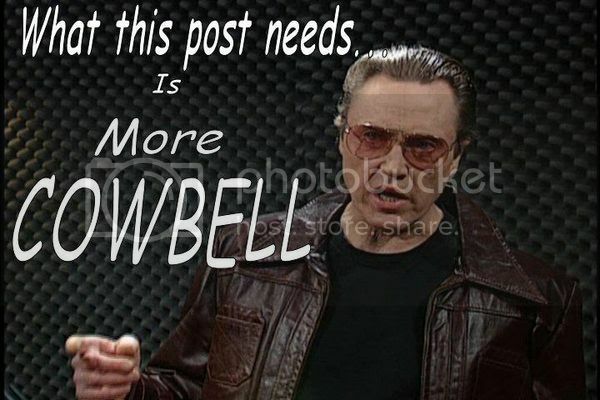 I have one more good one that is a real cowbell but it belongs to my wife. She says I can use it but can't do any damage to it. I just need the time to figure out how to make it work. This way she can't come downstairs and catch me with a gun she doesn't know about.